Here at Starman, Inc. we pride ourselves in bringing you the best of both bead worlds, Czech glass and Japanese seed beads. Now we've combined the two greatest names in the bead industry to bring you the latest technologies in color, quality and variety. Toho manufactures the most uniform, wide-holed glass seed bead shapes you can buy, but beaders are always on the lookout for more color variety. Many people enjoy the color selection of Czech seed beads, but are fed up with the amount of unusable beads per hank. Our factory in the Czech Republic is the leader of finish technology throughout the region. It takes a village to manufacture a bead from start to finish and it's quite possible that most of your own stash from Czech Republic that has been treated with luster, picasso, or metallic finishes have passed through our factory doors. Toho hybrids bridge the gap between Czech and Japanese seed beads by giving you quality beads with a sought after color palette. 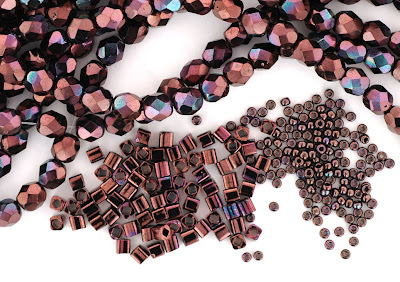 Now you can easily match your seed bead components to your fire polished, pressed and table cut beads without sacrificing quality! 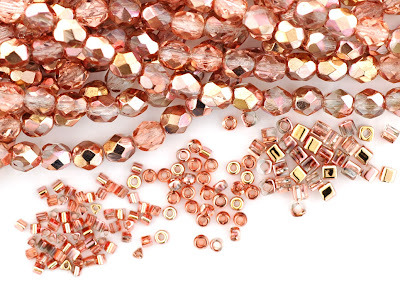 Stay tuned for more examples of how these beads compare to our most popular Czech beads. Click here to see all our SuperNova Hybrids. The Best of Both Bead Worlds: Japanese Quality with Czech Color Technology! 90 colors to choose from! Since the manufacturing process takes longer than traditional Toho beads supplies are limited and outages are expected to occur. Stock up while you can and be one of the first vendors to offer the latest addition to the Toho product line -- SuperNova Hybrids!